The HitGrab Rockin' Horse is a Limited Edition Physical type weapon. Ready to rock the moment it emerges from the King's closet, this rebel hobby horse refuses to play by anyone's hunting rules but its own! The HitGrab Rockin' Horse is a Limited Edition weapon and can no longer be acquired by Hunters. It could be purchased for 158,500 gold from Ronza's Traveling Shoppe during the Ronza's Rockin' Return event in late 2009. It could be refunded for 28,530 gold at the same location. 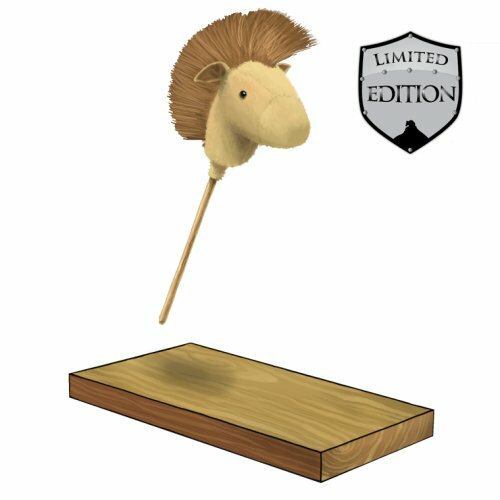 HitGrab Horsey – The original, smashable, version. HitGrab Rainbow Rockin' Horse – Source of Hobby Horse Parts for recrafting the HitGrab Horsey. 20 October 2009: The HitGrab Rockin' Horse was introduced. This page was last edited on 13 January 2019, at 13:20.